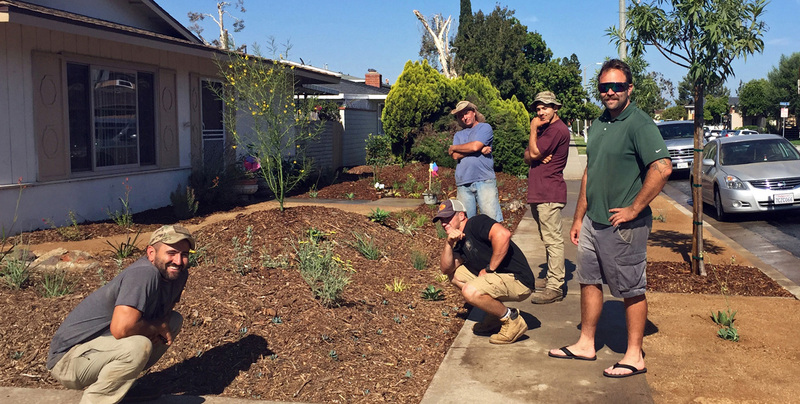 ALL Environmental Design began in 2011 when lifelong friends Nick Gasteiger and Andy Turnbull created their partnership from a shared passion of creating landscapes that give back to the environment, help save water and creating beautiful sceneries for their customers. In a time where California is suffering from a historical drought, they have committed themselves to help offer solutions. Andy or Nick are always on site and will work with you every step of the way; before, during, and after the transformation of your landscape. Nick received his Bachelors in Operations Management from Cal Poly Pomona in 2011. He has held several leadership roles throughout his career. Nick has worked alongside Andy for over 10 years in different roles assisting him in landscape and environmental design. Andy Turnbull received his Bachelor’s in Engineering from Cal Poly Pomona in 2014. He designs all of our projects and is an expert in drought tolerant/western native plants. His career kicked off in environmental design in the year 2000 for a small company based out of Highland, CA. Andy started from the ground floor with hands on experience working his way up to management to finally ownership. We are proud to have 3 full- time Military Veterans as part of our team! Call to schedule a consultation with us! We’ll work with you every step of the way to transform your outdoor space into something you love. We’ve got the coverage, no worries for you! Workers comp & General Liability.